Established in 1999, SAPHA is the premier organization dedicated to addressing public health issues impacting South Asians in the United States. Our mission is to promote the health and well-being of South Asian communities by advancing the field of South Asian public health through interactions among health professionals and shared resources, focusing on research, education, communication, and advocacy. 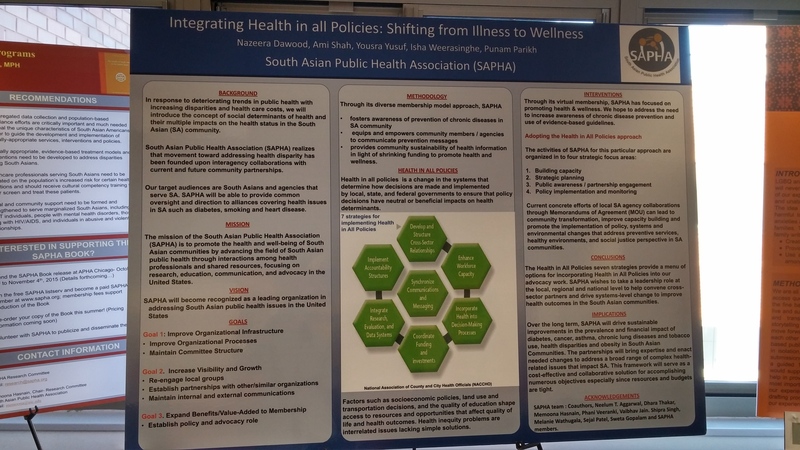 Ten dedicated individuals established SAPHA in the spring of 1999 in an effort to raise awareness about public health issues of South Asians at a national level. In 2001, SAPHA was formalized with the formation of a Board of Directors and attained a 501(c)3 non-profit status. In 2002, SAPHA received national level recognition with the release of its ground-breaking report entitled, A Brown Paper: The Health of South Asians in the United States. 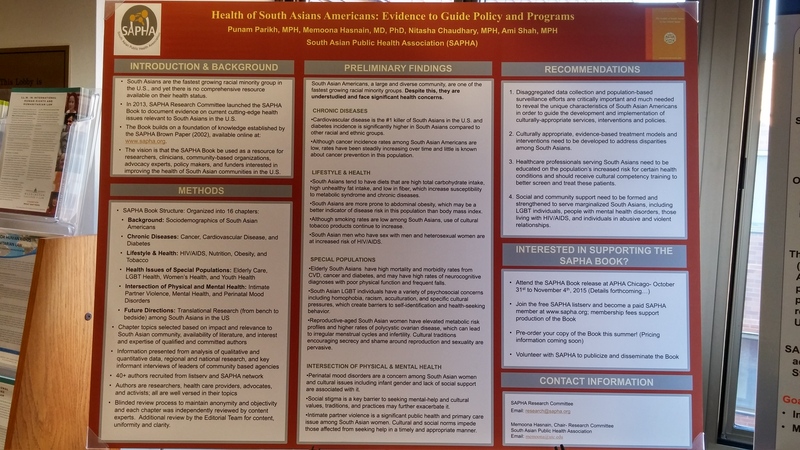 The Brown Paper represents reviewed research and literature on South Asian health in the U.S. to document health disparities as well as highlight the importance of this understudied group in health research. 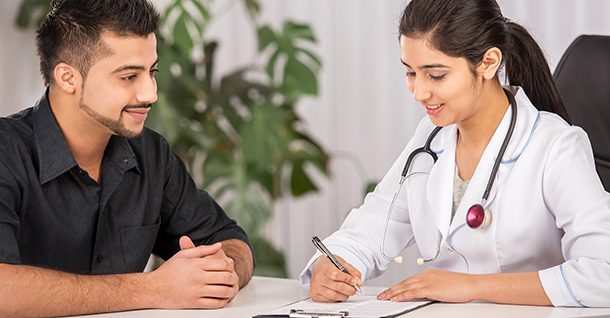 Since its first publication, SAPHA has continued to work diligently toward promoting the health and well-being of South Asians throughout the United States.